MOSCOW, Russia -- Russia's interest in operating Ukraine's gas transit pipelines has declined after it took pains to promote other export routes, Prime Minister Vladimir Putin said, signaling that Kiev may have a hard time convincing Moscow to lower its gas import bill. 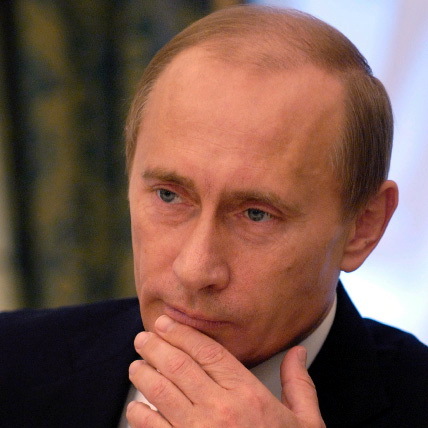 Putin made the statement Thursday night after meeting his Ukrainian counterpart, Mykola Azarov. The new Ukrainian prime minister laid out proposals for compensating Russia for a lower gas price, including an offer for Gazprom to join a planned international consortium that would run Ukrainian transit pipelines. The European Union is wary of any friction between Moscow and Kiev in their gas trade, because 80 percent of the Russian gas it buys is transported across Ukraine. Previous disagreements between the countries have led to disruptions of substantial transit deliveries, most recently in January 2009. Some interest in the consortium plan — a reincarnation of an agreement dating back to the early 2000s — still exists, Putin said. If created, the consortium would have to invest heavily in the long-neglected pipelines, recouping the money by collecting transit fees. “If this takes shape in the course of a constructive dialogue, we, of course, are ready for this work,” Putin said. The European Union has estimated that an upgrade of Ukraine's gas pipeline grid, which is 10 years past its expected operational life, would cost 2.5 billion euros ($3.3 billion). The 13,500-kilometer pipeline network was built 40 years ago. Moscow and Kiev plan to hold the next round of talks next month, when their intergovernmental commissions will meet to discuss trade, Azarov said. Ukrainian President Viktor Yanukovych is hoping to sign a deal revising the gas prices downward when President Dmitry Medvedev travels to Kiev in May. “I am strongly convinced that we can find solutions even for the most difficult problems,” Azarov said after talks with Putin. In an attempt to reduce its reliance on former Soviet republics for transit of Gazprom's gas, Russia has pursued alternative routes in recent years. A separate Gazprom-led consortium is set to break ground Thursday for the construction of the Nord Stream undersea pipeline to carry its gas to Europe. Gazprom also has made considerable progress toward building another undersea gas pipeline, South Stream, later this decade.